When you need transportation quickly, the best option may be to look for certified used cars near Long Beach, California. Not only are they more affordable, but they come with that extra peace of mind only a warranty can bring, which will certainly come in handy. After all, we at Norm Reeves Honda Huntington Beach know firsthand that Long Beach is full of surprises! The city was incorporated well over a hundred years ago in 1897 and has since gone through many transformations. At one time, it was an oil town; then, an industrial hub; and finally, a seaside resort town. Today, its a vibrant mix of all three. Long Beach is now most well-known for its lovely beaches and vibrant nightlife. Residents looking for an exciting evening can head to one of the city’s many clubs, like the famous Laugh Factory. If you need help finding a certified used car near Long Beach, California, to get you there, our team can help. At Norm Reeves Honda Huntington Beach, we’ve spent a great deal of time curating a massive inventory of new and pre-owned vehicles, including certified used models. All certified pre-owned (CPO) vehicles have been put through a rigorous inspection, cleaned, and returned to the best shape possible. We’re so confident in their quality that we’ve placed them back under warranty. In addition to warranty offers, we like to offer a little extra price protection to your purchase. When you buy used, we offer a 5-Day/500-Mile Buy Back Guarantee. That way, if you manage to find a better model for a cheaper price, you won’t have any regrets. Its important to us that when you shop at our dealership, you don’t have to wonder whether or not you got the best deal possible. That’s the reason why we offer CPO warranties as well as the Price Protection Guarantee. It’s also the reason why we offer so many specials. Check out our specials page online today, where you will find coupons for service appointments, parts, and even some awesome vehicle incentives. We want you to save a few extra bucks whenever possible. Check this page frequently to snag coupons for each visit! 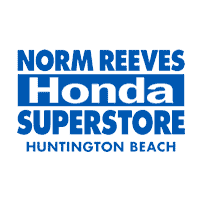 Over the years, Norm Reeves Honda Huntington Beach has racked up quite a few accolades. One thing we consistently seemed to be recognized for is our customer service. In our eyes, buying a car is pure fun. While at some dealerships this joy might be diluted with financial stress and wariness towards salesmen, we like to keep things simple, relaxed, and completely straightforward. Take our sales representatives for instance. They’re here for one reason only: to help you find the perfect car. They don’t want you to settle for anything but the best. Plus, with their expert advice, you won’t have to. Financing is usually considered little more than a thorn in the driver’s side. It’s an extremely personal matter, and when it comes to buying a car, can be a draining source of stress. We say can be because, with our finance team, we know it won’t be. They’re here to take care of all the hard work for you. All you need to do is provide them with a bit of information and they’ll handle the rest. During this step, there’s no reason why a credit score needs to hold you back. Our financiers work with some of the most understanding lenders around. No matter your credit history, they’re determined to get you approved. Know that our service department is equally adept. If you need to bring your vehicle in for some routine maintenance, or perhaps for a more challenging repair, you can rest assured that it’s in good hands. With the collective experience of all our service technicians, no job is too big and no job is too small, either, for that matter. With the aid of our state-of-the-art facilities and Honda-certified tools, they’re well-equipped to tackle any task. As a matter of fact, our technicians can also handle your next vehicle upgrade. If you’re thinking its time to enhance your already great Honda, check out parts and accessories on our website. Once you’ve found something you like, our technicians will install everything for you. If you’re looking for a certified used car near Long Beach, California, Norm Reeves Honda Huntington Beach has an inventory that simply can’t be beat. Check it out online today to jumpstart the car-buying process. While you’re there, you’ll have access to all important vehicle specifications as well as information on popular features. Using this research, you can decide which trim level will be the best fit for you. You will also have access to price quotes and trade-in values for your current car. Just send us a bit of information, and well hook you up with the numbers. When you finally have your eye on something special, feel free to visit our showroom. Our team would be happy to sit down and discuss the details. Contact us today for more information!